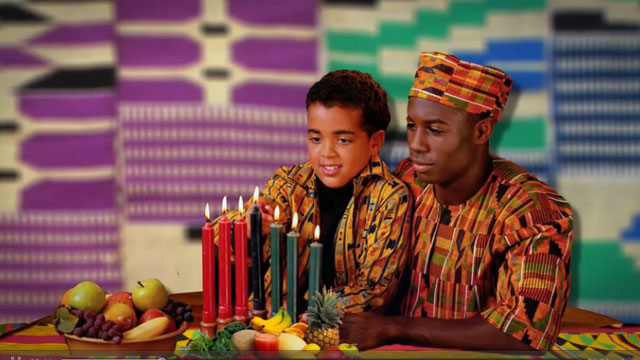 Kwanzaa, first celebrated in 1966, is a celebration of African American culture and heritage. Every year, it starts on December 26 and lasts until January 1. Each of the seven days is dedicated to a different principle that can help shape a community, like faith, unity and creativity, as described in this PBS LearningMedia holiday video. Traditions include lighting red, black and green candles and drum- and music-playing. On the sixth day of Kwanzaa, there is a feast, and on the seventh, people exchange gifts. Presents to children include books and symbols of African heritage.